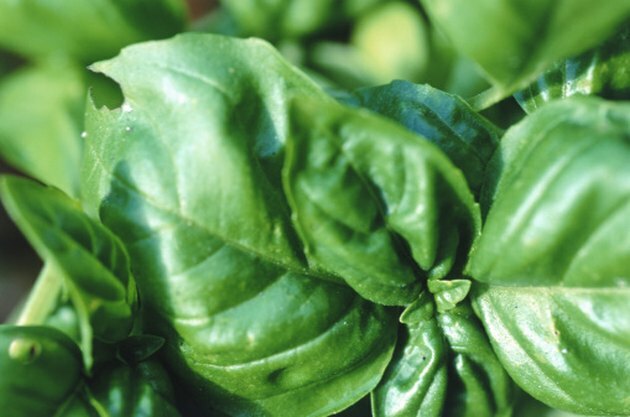 The fragrant and flavorful leaves of the basil herb are prized for their fresh or dried culinary use. Cooks use them to flavor many dishes, including soup, meat, vegetables, sauces and even some baked goods and liqueurs. Basil grows as an annual plant, which means it dies back completely each year. Harvesting the leaves at the right time ensures they have the most flavor and that you get an abundant crop. Basil is ready for its first harvest within six weeks of planting. Harvest basil once the plant is 1 foot tall and has at least four sets of fully unfurled leaves. 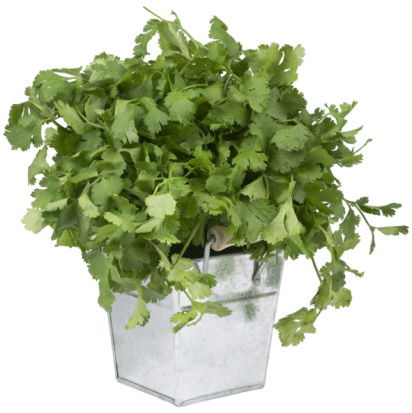 Cut off the leaves near the top of the plant, leaving at least two sets of leaves near the base of the plant. Remove no more than one-half the plant's height at each harvest. Pick basil leaves a second time three weeks later, after the plant has grown to its previous preharvest height. Continue to harvest the leaves every three weeks. Remove any remaining foliage once the flower buds begin to swell, but before they open. Basil loses most of its flavor during blooming, then quickly dies back after flowering completes.